Lawrence Wong is a name (and face) to be reckoned with. While he has had roles in local Channel 8 dramas like 118’s Xiao Bao, the Beijing-based Singapore actor only came into the limelight recently, hugely due to his performance as Hai Lan Cha, an imperial guard turned war general in Yanxi Palace. 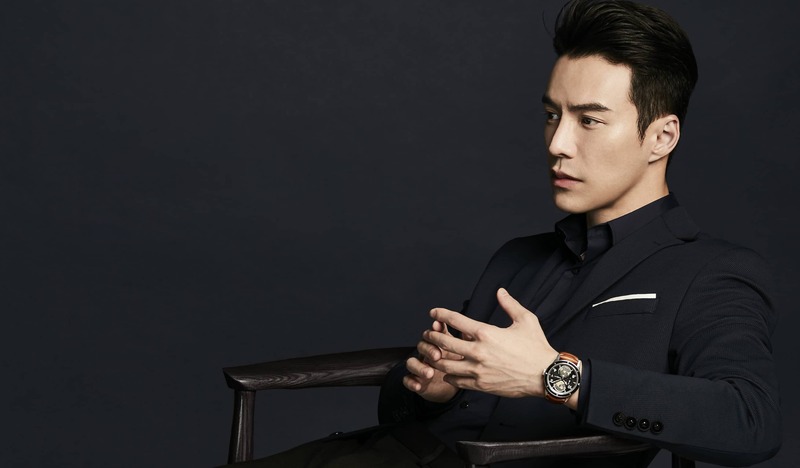 Since then, he has made China’s most influential celebrity list, placing 35th amongst some of the country’s biggest stars — and even racking up 257,000 followers on Instagram. Due to the nature of his job, the actor travels extensively around the region, although he discovered his passion for travel very early on — and has been on backpacking trips in the United States and Germany in his younger days. We managed to catch him for a few minutes out of his hectic schedule to talk about his favourite travel destinations, where he’d like to spend Christmas, and all the essentials he needs when he’s jetting around the globe. Very often, and I definitely travel more for work now. I’ve chalked up so many miles in these two months alone. I always try to choose red-eye flights because it saves precious time, and once you touch down you can work immediately. How often do you travel for leisure? When I was younger I would travel at least twice a year, since I wasn’t so busy. I’d take one three-week trip and a shorter one. Unfortunately, I hardly get to go for leisure now. My last personal trip was probably two years ago. What’s your favourite travel destination? Japan, anytime. It’s close enough to go for a weekend from Beijing. I’m a very typical foodie and Japan has some of the best cuisine. I also love to do some shopping there. What are your favourite restaurants in Japan? I love to walk around and explore smaller establishments along the street, which are always the most authentic. Where do you shop in Japan? I love to shop for local Japanese brands, as well as underrated, emerging brands from young designers. Another funny fact is that I’ll try to pop into their pharmacies when I’m there. My friends from China love to stock up on essentials like fibre pills, so whenever I go to Japan, I’ll buy some back. Tell us about one very memorable experience during your travels? One of my most life-changing journeys was one to the Galapagos Islands many years ago. We went out to sea on a small cruise without any contact with the outside world for many days. There was no wifi and our phones didn’t work. You meet so many people from different walks of life and find out more about their what drives them. During the trip, the concept of active ageing really stuck to me. Although a lot of people onboard were the elderly, they were very active. I remember a couple from the States who were really old and not in the best physical condition to travel. The husband has half of his face paralysed from a stroke. What amazed me is that they were still very active. We’d go to different islands around the area every day and hike or do deep water snorkelling. I also met this other lady who was a retired teacher and went backpacking in countries like Peru, even though she was in her 60s. These are the kind of people I meet on my travels that inspire me. What are your travel tips? Firstly, always travel light and take only the bare essentials with you; especially when you’re backpacking, which I did in the United States and Germany a few years ago. When you’re on the road, you really do not want to be burdened by your luggage. Secondly, it’s very important to be flexible and flow with things. Most people have a set itinerary for leisure trips. I think you can have a rough outline, but you should always be open to flow with different circumstances or situations because things won’t always go as planned. My advice is to always be prepared to have your plans changed and have an adventurous spirit when you travel. Do not be so rigid that your mood will be spoilt by anything that doesn’t go your way. This may be quite unexpected, but I carry around Muji. I used to buy a lot of expensive brand luggage which never really lasted. One day, while I was on a work trip, my luggage fell apart. My colleagues and hair stylists (who always travel with big luggage) recommended Muji because it’s affordable yet very durable and is able to withstand a lot of bumps and rough handling from people. 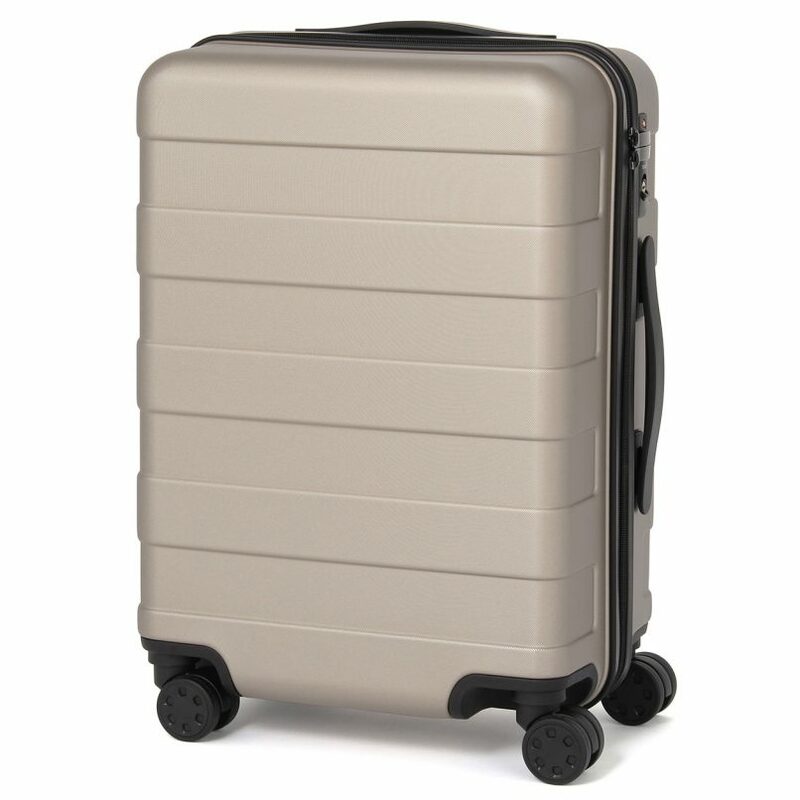 I was surprised as well, because I have never thought much of Muji luggage until recently. It’s also easy to recognise on the luggage belt compared to other more popular brands. Muji luggage, available at ION Orchard. Tell us five of your travel essentials, and why? The first would be a mask to stay hydrated on the plane. This is essential especially in the cabin when the air is circulated — so it’s good to have a barrier. You can even slot some paddings which come with the mask for extra moisture. When you sleep on the plane with the mask on, you don’t have to worry about how you look when you sleep. Just put on a mask and sunglass, and you face is basically covered. A mask makes a huge difference in keeping yourself warm, too. These are easy to find at Daiso in ION Orchard. Another one would be a facial mist from Caudalie. It’s great for oily skin and helps moisturise your face on the flight. I also always carry around a hand sanitiser from Aesop because I just love the smell. This is very important when you travel, especially before you eat. Would you rather spend Christmas in winter or tropical destination? Definitely winter. It’s hard to get into the spirit in a hot country where you’re constantly sweating. I like walking down streets decorated with festive lighting with a hot drink in hand while it’s snowing lightly. In fact, my backpacking trip to Germany was during Christmas. And my primary reason to go there was because of the Christmas markets in different cities. If you were to pick three gifts from ION Orchard for special people in your life, what would it be? I’d get a chocolate cake from Awfully Chocolate for my fans. You can never go wrong with cake, and I really love the ones from Awfully Chocolate. It’s a local brand, so it’s good to support as well. My dad loves and collects watches, so I’ll get him a watch. Finally, my sister is a makeup junkie – and I’m not well-versed in beauty to pick gifts for her. I’ll buy her a gift certificate from Sephora so she can buy whatever she wants. For more articles in partnership with ION Orchard, check out the site here. I have my watch with me all the time, along with a pair of sneakers — because it’s so simple, comfortable, and goes with everything. Dewi Nurjuwita is a travel and design writer who can be found exploring the streets of foreign cities with passport in one hand and a cup of coffee in the other. Sign up for our weekly newsletters to receive our latest event coverage and personality interviews in your inbox.